In short, Unexplained Infertility can be defined as, when a fertility specialist unable to detect a specific cause of a couple’s infertility even after comprehensive evaluation of a couple or individual then the couple (either a female or male) faces with unexplained infertility. So, now the question comes here is that what is the best way to get pregnant if any couple is suffering with unexplained infertility. 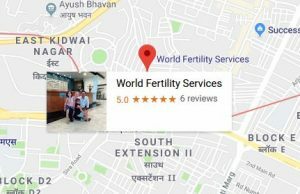 World Fertility Services comes up with the best medications to say goodbye of your unexplained infertility disorder and lends the best helping hand during the treatment. In some of the cases of unexplained infertility, the couple may conceive after testing without being even treated at all by just maintaining their lifestyle factors, healthy diet and if your fertility expert has suggested you to undergo any treatment then the individual has to go with the treatment. Acupuncture has helped several couples in the way to get conceived. This technique improves female’s ovarian function and promotes the blood flow into the endometrium lining. Medical issue such as female blocked fallopian tube could not be cured with acupuncture. Lifestyle factor always plays a crucial role in the lives of each individual. The first thing that comes in prior list of healthy lifestyle is Healthy diet; maintaining weight to prevent obesity, overweight or underweight-, these are all the factors that contribute infertility in male or female. 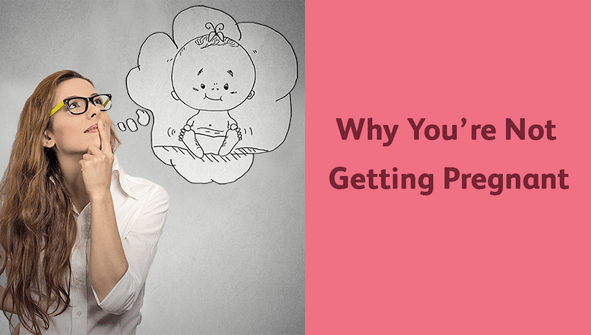 So, by just keeping your body fit you can prevent infertility before it makes the entry. A healthy diet also plays a vital part in any of the individual’s diet. To minimize the intake of alcohol, caffeine, smoke or tobacco etc is necessary to keep your body fine and fettle position. Clomiphene citrate, a common name – Clomid, the most common and widespread fertility drug, is given to the female when she is not ovulating properly, this drug can also boost male’s sperm production at some case of male infertility. Clomid induces a female’s ovaries to release more than a single egg at the time of ovulation, this in return, enhances the chances of fertilization and so the pregnancy. This medication is often used with IUI treatment to bring forth the best result during fertilization. During IUI treatment, a male’s sperm (after washing by the special technique) is placed into the female’s uterus to facilitate easy fertilization. Sperms are placed into the uterus at the time of female’s ovulation timing; this is done in order to have easy and smooth insemination & fertilization step. IUI treatment ensures that the increased quantity of sperm reach top of the female’s uterus and the fallopian tubes. IUI with Clomid medication facilitates the possibility of successful fertilization by getting best quantity and quality of the sperm. Couples, who are facing with unexplained infertility disorder, often settle on this option to get pregnant, it is quite cheap and less time consuming is compared with any other ART treatments such as IVF, ZIFT, ICSI etc. GnRh (Gonadotropin hormone), it is although similar to Clomid medication however using this therapy a woman produces multiple eggs more rapidly. Fertility experts may also opt for this therapy with IUI treatment. The best way to treat couple’s unexplained infertility is using with ART techniques; there are numerous medication in ART method such as IVF, ICSI, ZIFT etc. IVF is the most effective ART treatment to get rid of unexplained infertility cause. Live birth rates among women (suffering with unexplained infertility), who have undergone ART methodology are about 55-65%, again the success depends on female partner’s age and her eggs quality. We can say that pregnancy rate using IVF medication is three times higher than IUI with Clomid. Yes! IVF is quite expensive and invasive process comparing with non ART techniques but it gives a far better result in solving any of the infertility cause. If the couple has proceeded their age above 38, then skipping IUI with Clomid and choosing IVF straight will be the best choice.